According to reports, the Toronto Maple Leafs and Tampa Bay Lightning tried to make a loophole trade involving forward Vincent Lecavalier. As you probably already know, due to the 2012-13 NHL lockout, the league granted every team two compliance buyouts. A compliance buyout, unlike a regular buyout, doesn’t count against a team’s salary cap. Essentially, the Lightning were going to trade Lecavalier and possibly a prospect or draft pick to the Toronto Maple Leafs. The Leafs, one of the richest teams in the NHL, would then use their compliance buyout on Lecavalier who still has seven years and $45 million left on his contract. Once bought out, Tampa Bay would sign him to a less expensive deal. The NHL has now closed the loophole and the deal will not be happening. 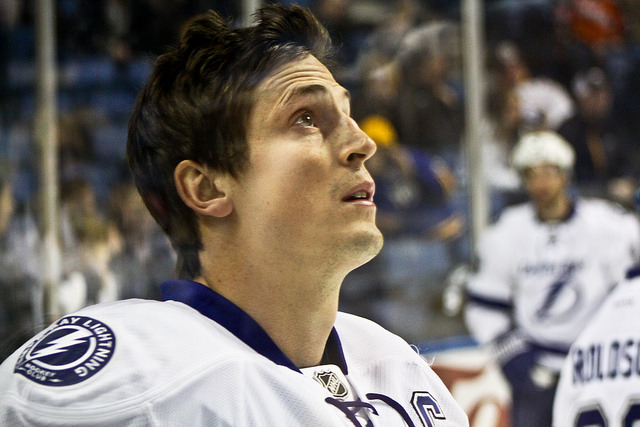 The Lightning are now going to use their own compliance buyout on Lecavalier. This will end his time in Tampa Bay. Lecavalier won a Stanley Cup with the club in 2004 and led the NHL in goals during the 2006-07 season.